It was the first outing for EBC Brakes Racing’s new RP-1 pads via Marken Performance and they did not disappoint. The team claimed 2 victories in the race with the new material. 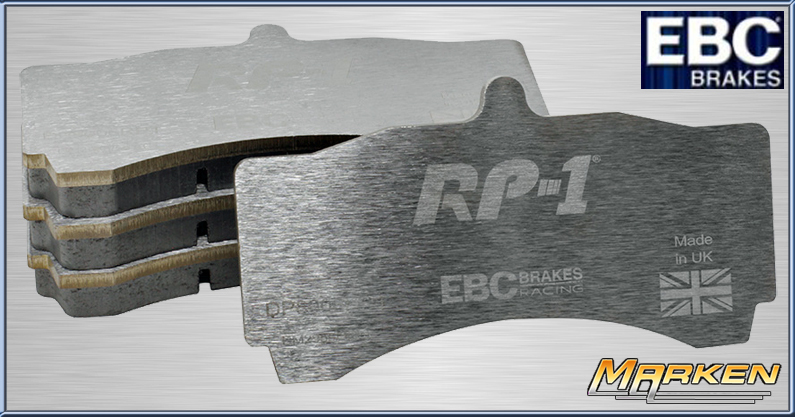 These new RP-1 brake pads will have: longer wear life under race conditions; stable and repeatable braking lap after lap; stainless steel back-plates (no paint); revolutionary Nucap © NRS system hook pad retention; kind to brake discs/rotors.